Have you ever wanted to play the Indiana Jones villain, swiping his golden idol just after he risked his life to obtain it? 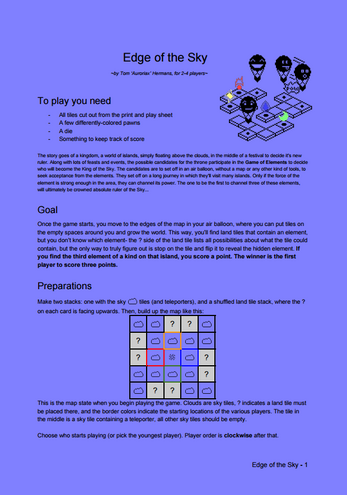 Edge of the Sky is a family friendly board game inspired by Carcassonne. But instead of building medieval France, you'll be exploring a world in the sky! In order to decide who becomes the next king, adventurers participate in a race to be the first one to channel three elements and reap the rewards. Travel above the clouds, discover and explore new islands, and steal an element right from under someone's nose *just* as he's about to claim it. 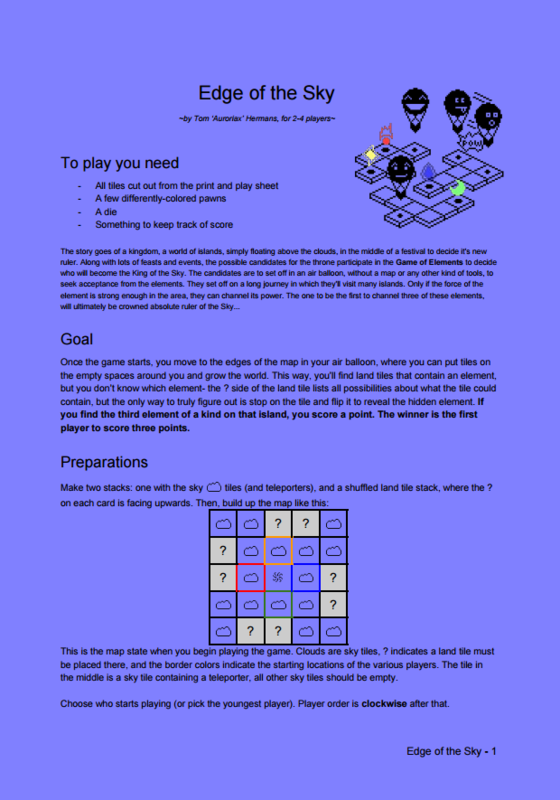 The game is accessible enough to be played by the whole family, and contains strategy that makes every game of Edge of the Sky unique and enjoyable. 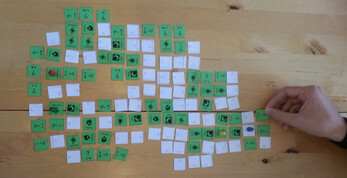 Players are looking for elements in order to win the race. These can be found on all islands in the world of the sky, but the participants had to leave without a map, so it's up to them to find these during their travels, one dice roll per turn. Islands consist of various tiles that are veiled. These tiles show what they *might* possibly contain: but nothing is certain until you explore that tile yourself. Once you find three of the same elements on the same island, they can channel them and score a point. But be aware- if someone else finds the third element, the point goes to them, so always be aware of which other players might be planning on playing the Indiana Jones villain! If they are really annoying, push them away from you in the hope that they'll become distracted by something else. 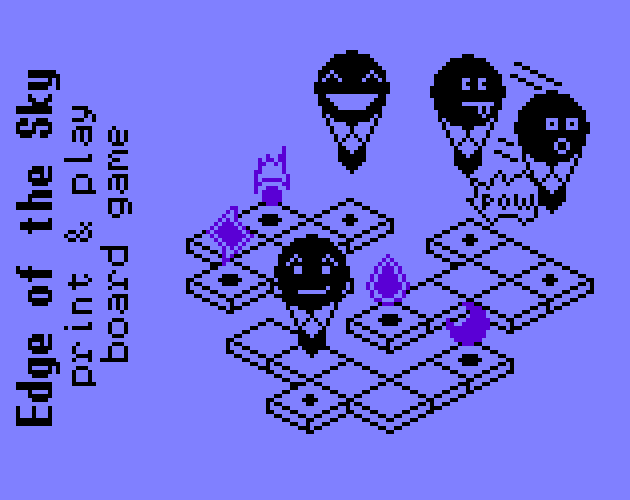 This is an analog game: you'll need some colored paper to print the game on, as well as some pawns. And some friends, of course: the game is for 2 to 4 players, and with four players you can even play in teams! Have fun! The game is free to download. If you play it, please consider giving some feedback!